So why should your daughter play rugby? Rugby is full of continuous, aerobic play – keeping kids active. Rugby is inclusive – Everyone plays, scores, and wins!! Rugby encompasses power, agility, strength, and speed. Rugby is an international sport played all over the world. Rugby is the newest Olympic sport. 347 total women’s collegiate rugby clubs. That’s not a lot of high school girls playing rugby….. yet. So why wait until college to play girls rugby? We need to improve that and to match the collegiate level of participation, and help grow the sport. 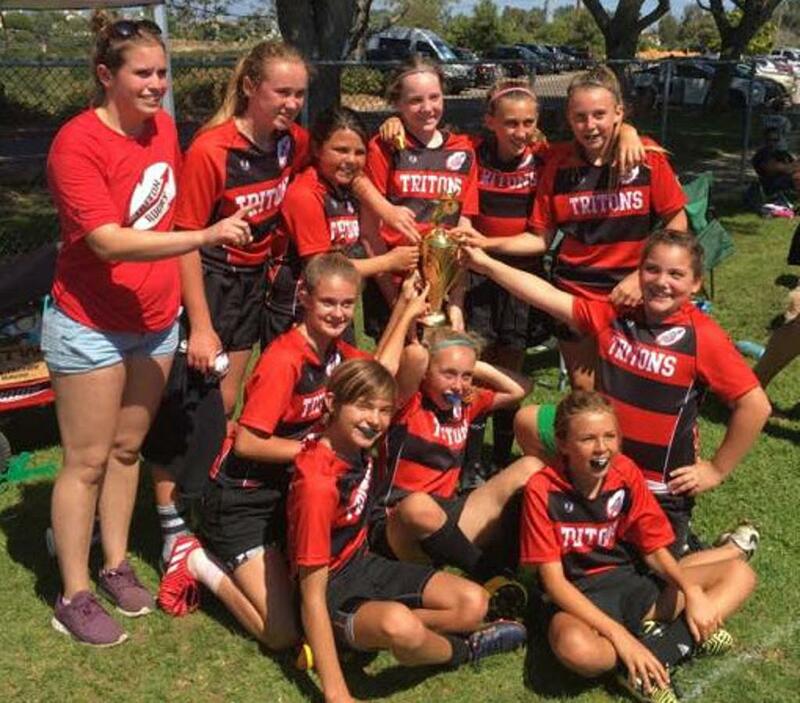 So San Clemente Youth Rugby is starting a U12 girls rugby team. Southern California Youth Rugby has competitive girls rugby at ages U12, U14, U16, U18, and high school teams. The SCYR Griffins is an All Star team that plays against other regions in the US, and San Clemente has had several Griffins players! In 2006 and 2007 San Clemente was one of the first clubs to have a girls team in the U15 age group. Those players have now graduated from college and one will be returning to San Clemente to help coach our new U12 team. So, come out and play, get involved, do something a little unorthodox perhaps, meet great fellow girl rugby players and families, and have a great time in a safe and age appropriate environment! Interested in becoming a sponsor of Girls Youth Rugby?